In 1952, Harold Smith established Smith System Driver Improvement Institute, the nation’s first professional driver training company. He understood that most crashes are preventable if the right driving habits are learned, practiced and applied consistently. Since then, millions of drivers throughout the world have benefited from the program he developed. When people ask why we do what we do, our answer is simple: To save lives. That’s real motivation. Harold Smith served in the United States Navy during World War II as the operator of a troop landing craft. His passion, even then, was driving motor vehicles. During his service, he recalled seeing a billboard about the lives lost from unsafe driving each year. Startlingly, the fatalities from motor vehicle crashes exceeded the casualties from war. To Harold, that statistic was motivating. Harold began teaching novice drivers about the art of safely driving a motor vehicle. As he watched people drive, he realized they consistently made dangerous, fundamental mistakes behind the wheel. Harold knew the safe driving skills he needed to teach, but he had difficulty communicating his concepts to others. He decided to attach labels to his instructions. This was the origin of The Smith5Keys®. Harold identified the key skills to improve driving safety and used them to instruct drivers. Concepts that had taken weeks to teach were easily understandable with the Keys. As the months went by, Harold refined the Keys to the exact terms that are trademarked and still used today. After realizing tremendous success with novice drivers, Harold began to think that if beginners could benefit from these skills, experienced drivers could too. His next step was to learn more about how people’s eyes and brains work together to obtain and process information while driving. Harold marketed his services to local organizations operating fleet vehicles, but it was a difficult sale. There wasn’t a precedent for advanced, behind-the-wheel driver training. In 1951, Harold landed his first commercial account. Soon, word-of-mouth advertising helped sell several additional small fleet operators. 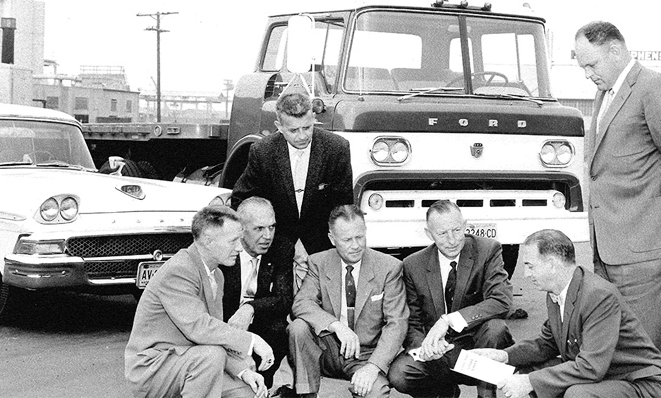 Harold’s big break came when Ford Motor Company heard of his efforts and saw the potential to provide driver training to promote the sale of new vehicles. 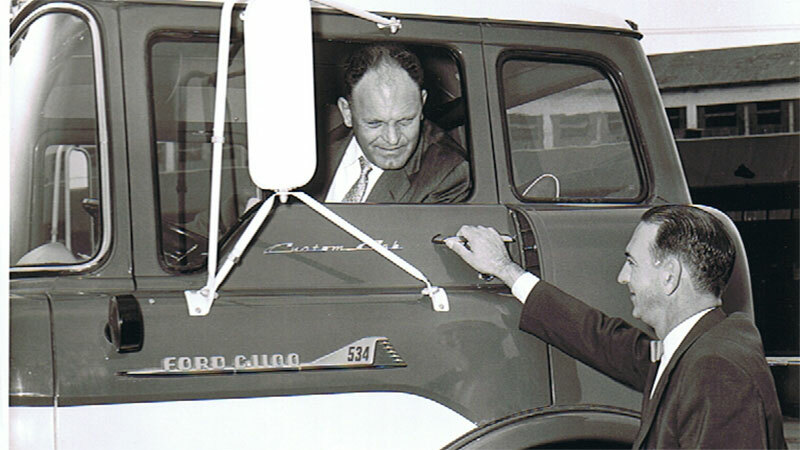 A Ford representative termed Harold’s series of driving skills the “Smith System.” When Ford collaborated with Harold on nation-wide promotion, he decided to change the name of his company, and in 1952 Smith System became the first advanced driving skills company in the country. In 1960, Harold drove the 50 millionth Ford off the assembly line in Detroit. He took the car from city to city in a promotional effort that helped Ford sell vehicles and Harold obtain national publicity and recognition. Soon, other high-profile organizations adopted the Smith System to train their fleet drivers. UPS, AT&T and Chevron Oil were among the first organizations to use Smith System to train drivers and reduce their fleets’ crashes. If the proven success of the Smith System philosophy could be defined in a single word, it would be “prevention.” While it’s true some crashes are inescapable, the vast majority of crashes each year are preventable with the right skills. The Smith System is a series of interlocking techniques to prevent crashes. The concepts help drivers see, think and act their way through various driving environments, challenges and changes that exist regardless of where they travel or the vehicles they operate. The Smith5Keys apply to all types of driving conditions, making the training effective from the highways of Los Angeles to the roads of India. Today, Smith System also integrates driver training with telematics, driver scoring metrics and predictive risk analysis and provides e-learning and classroom content in dozens of languages.